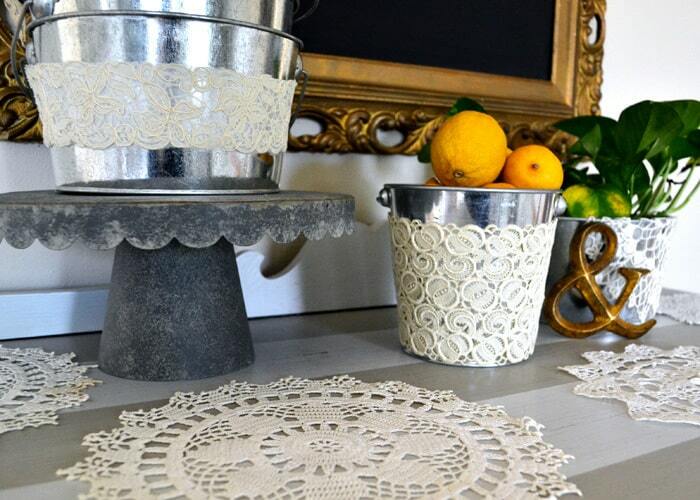 I love the juxtaposition between the frilly lace and rustic tin pails. 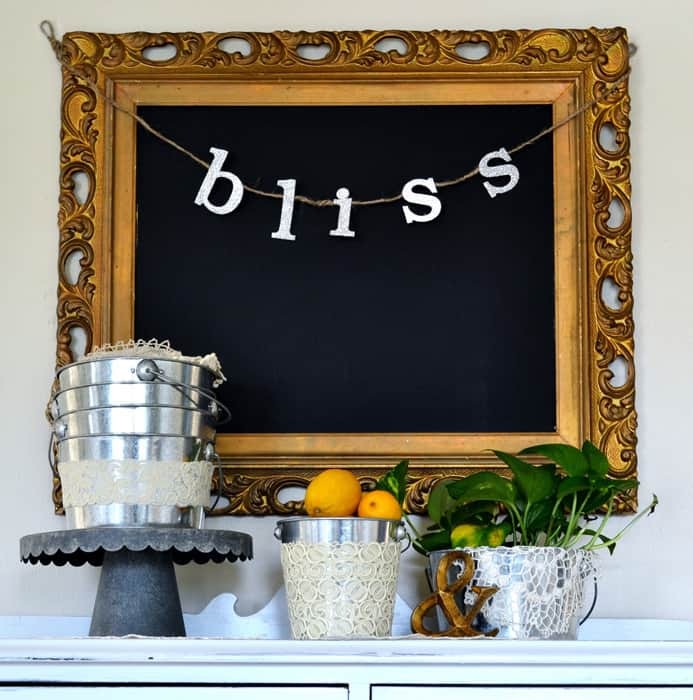 I added lemons and a plant for some color, and didn’t need a thing more. 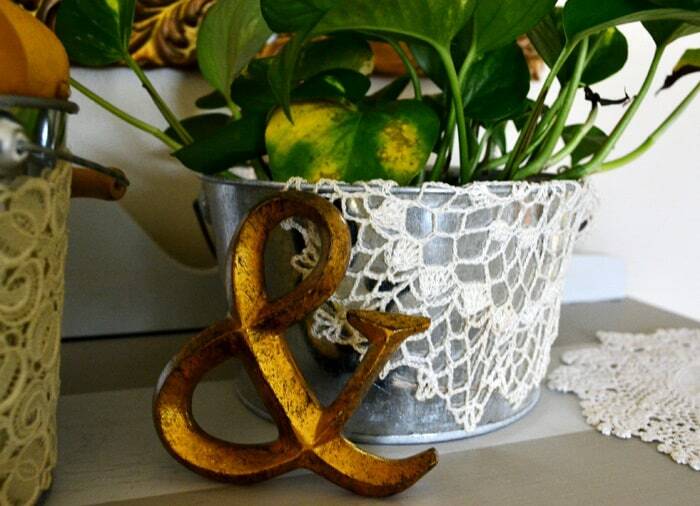 I don’t often set up vignettes and take pictures just to take pictures, but I am happy with how these turned out! I recently purchased my first DSLR camera, and have been having fun playing with shutter speed, aperture and ISO. It’s a slow process, but I’m (slowly) seeing improvements in my photos. Can’t wait to share all I’ve been learning! Oh wow! 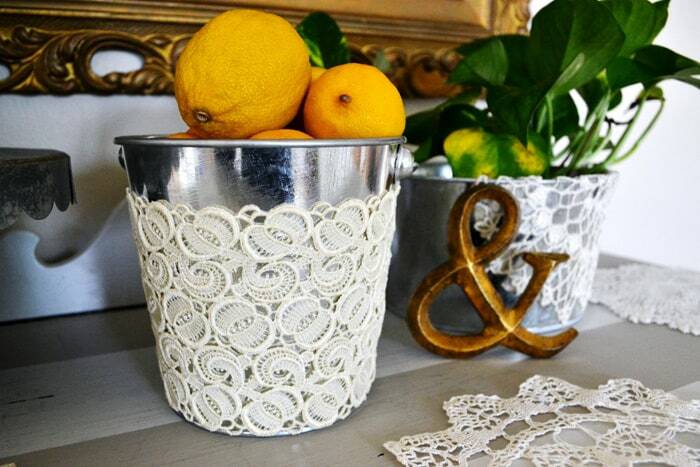 I love the one with the lemons! That is so lovely and looks beautiful! 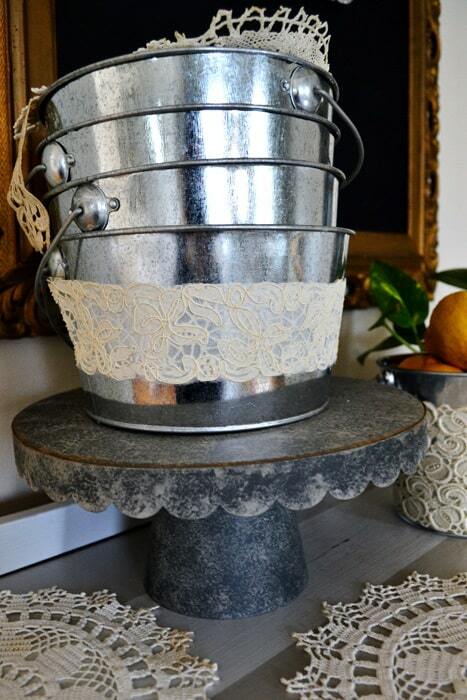 I love the lace with the “rustic” buckets. And the DSLR camera is lifechanging, I just one for Christmas!